Last year, I found the most adorable Santa Clause outfit for Izaiah. He was 9 months old in the above photo (see left). Fast forward a year, who knew we would have another baby wearing that same outfit. What is even sadder is that the 4 month old baby (see right), is already wearing clothes that fit Izaiah at 9 months. Oh how they grow. 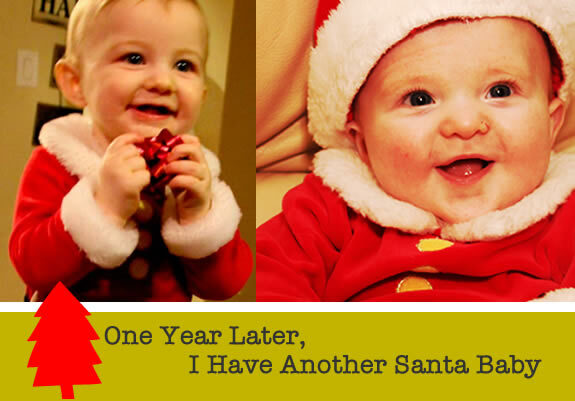 A baby’s first Christmas is always full of fun, including dressing them up as a silly Santa baby. Sorry dudes, it’s part of being my familiy. Just wait until Easter – cue adorable bunny suit.